Behind the scenes on Valentine’s Day! I was moved to Woodhill House almost 40 years ago; enough time for some people to have not met or even heard of me! 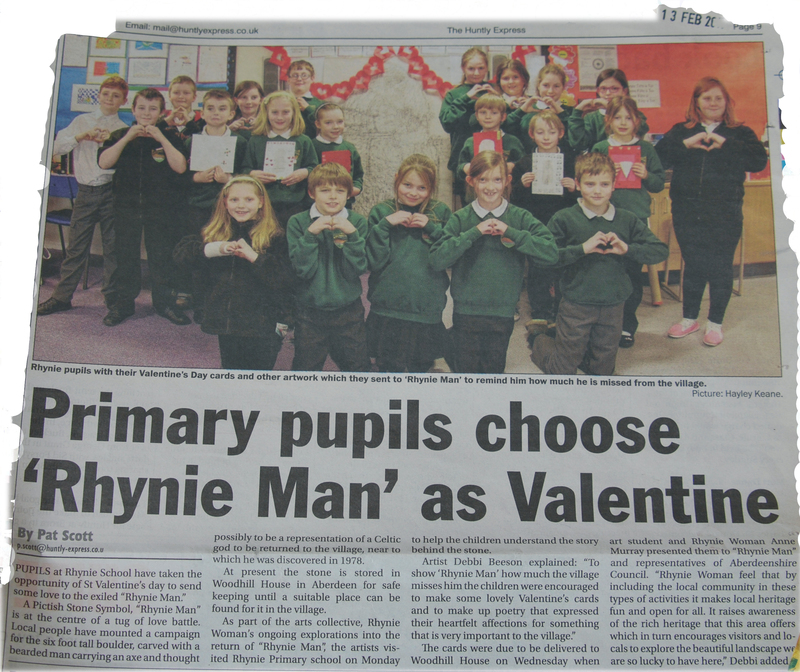 So I’m told that at the beginning of February Anne and Rhynie Woman went into Rhynie Primary school to tell the local children, teachers and helpers a little bit about my good looks and to find out how romantic they were all feeling. 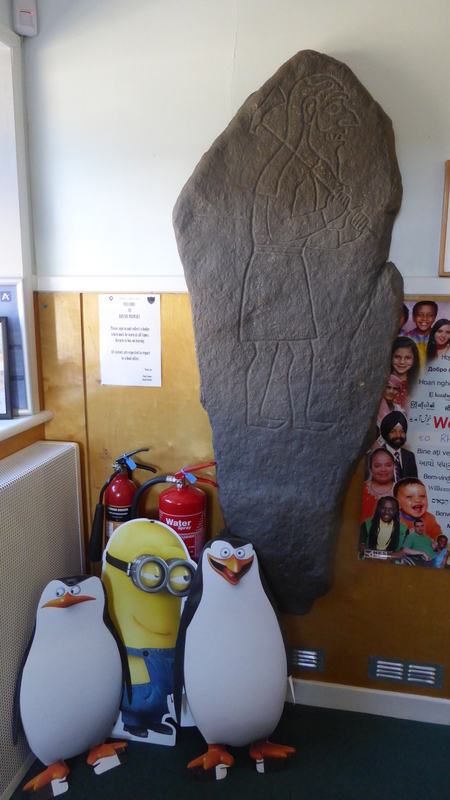 When you arrive at Rhynie Primary you are greeted by a Minion, two penguins and Me!!! When they arrived at the school they realised that perhaps the teachers and children had heard of me as there is a large cast of me sitting at the doorway. The cast was created from a mould that Museum of Scotland took of me in 1978 when I was in Barflats. Can you see any of the Sheep hoof marks Gavin Alston was talking about in his 1988 interview? 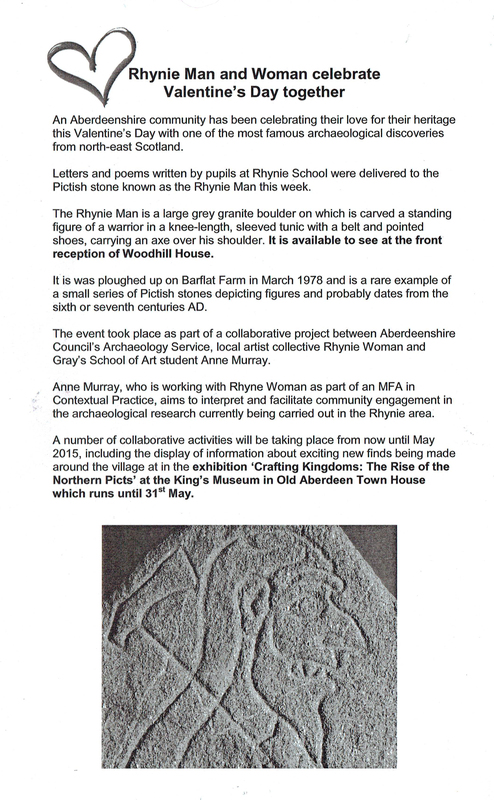 Debbi and Anne told the children about the story of Rhynie Man and why Rhynie Woman would like him to return to Rhynie. 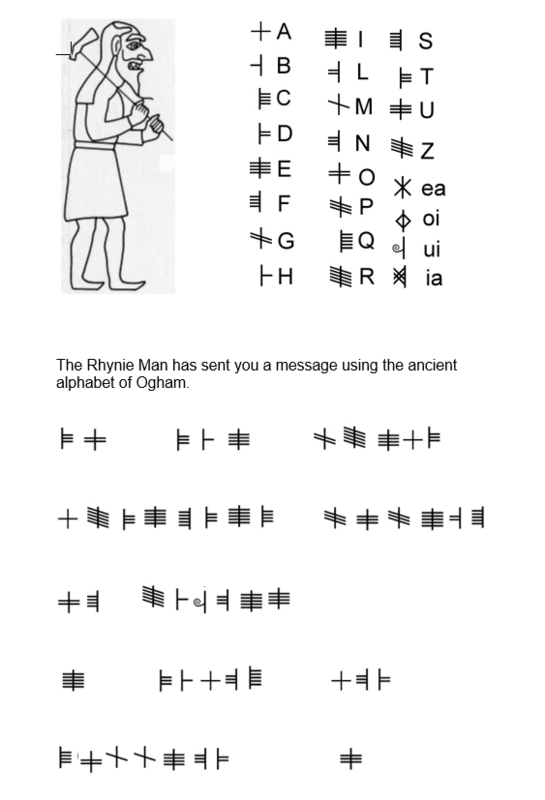 They also talked about symbols and how we still use them at festival times such as St Valentine’s. 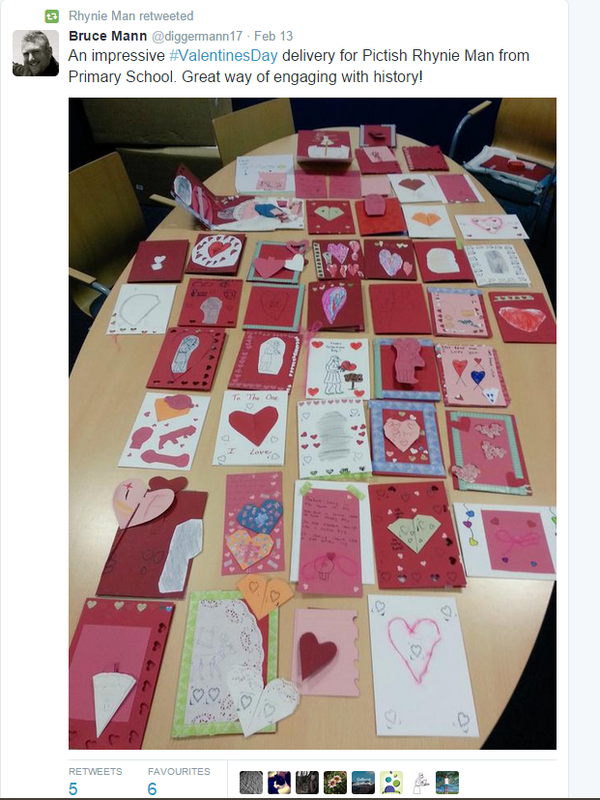 The children were delighted to help and worked hard on their poetry and card making. 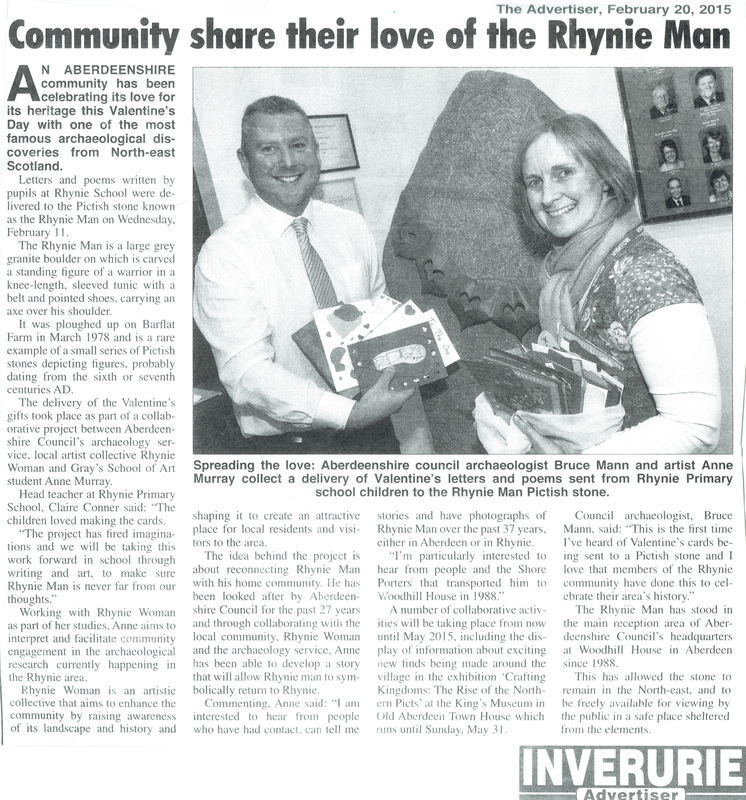 Anne and Rhynie Woman enjoyed visiting the school, talking about Rhynie Man and meeting the creative children, teachers and helpers in Rhynie. A great day! and special thanks to the Head Teacher for making it happen and Hayley Keane for the photography.